As an amateur, I'm having a really hard time figuring out which cable to use. I know that it says that it's the same as the FTDI cable for official Arduino and cloned 5V Arduino boards, but I still don't know which one that means. A link to the specific cable, or a more specific description would be really handy. I have four different USB converter cables at home, and none of them fit. You need to use a USB A to Mini B cable with this, like the one sold here. 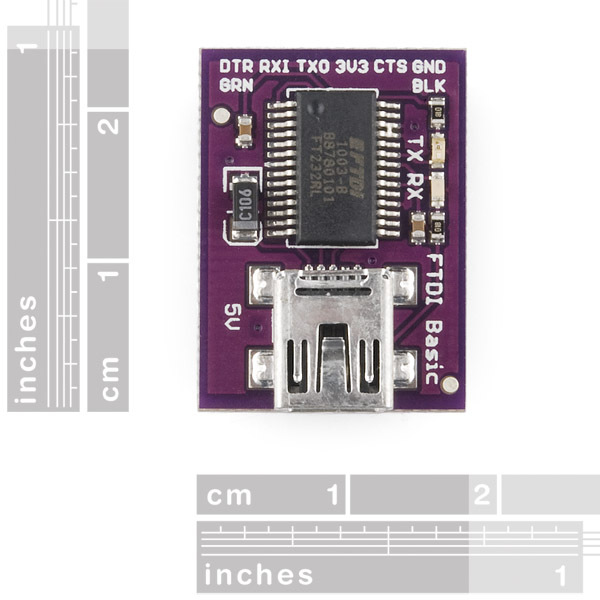 I ask because The regular FTDI Basic 5V is currently back-ordered. 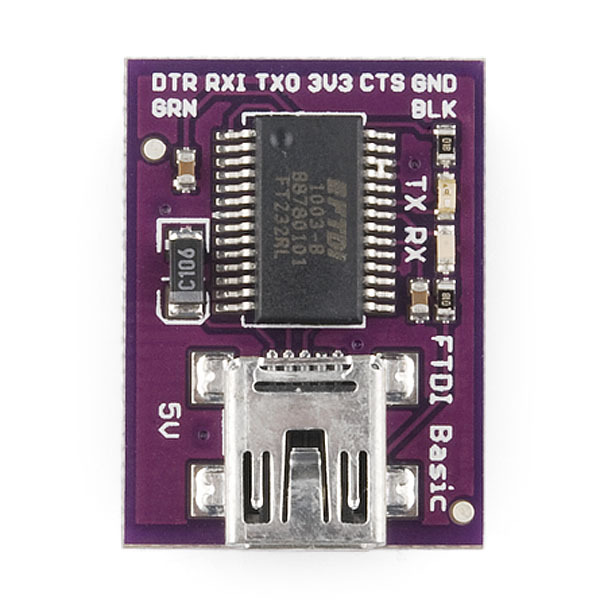 Is there really any reason I would pick FTDI Basic 5V over this one, other than cosmetics? Yeah it's pretty much exactly the same, just a different color PCB. Holding up to great use. I teach 6th graders the basics of arduino with the lilypad and we use the FTDI to connect with the usb cable. The amount of use these little things go through is quite a bit and I have yet to run into one that has failed. Going on 3 years now. I bought this for my lilypad arduino. I spent a week troubleshooting this thing until it finally starting communicating with my pc. It won't work at all on my mac. I finally got it to work on my laptop with Windows 7. I installed the drivers fine on both pc's and selected the proper com port, but it only worked on my windows pc when I selected "Arduino UNO" board. It didn't work at all when I selected Lilypad 328. I tried changing programmers, reversing rx/tx, and I even scratched out the 5V and added a jumper so it will operate at 3.3V which were all recommendations made by various enthusiasts online. Nothing worked until I selected "UNO" as my board. Besides all the hurdles and hoops I've had to jump through, I'm quite satisfied with the outcome of my project. I wish, however, that the lilypad had a built in RC + inverting schmitt trigger circuit to filter out alot of the debouncing that my SPST push-buttons are generating. My programming solutions for this problem are insufficient. I'll have to add another circuit just to clean the signal. 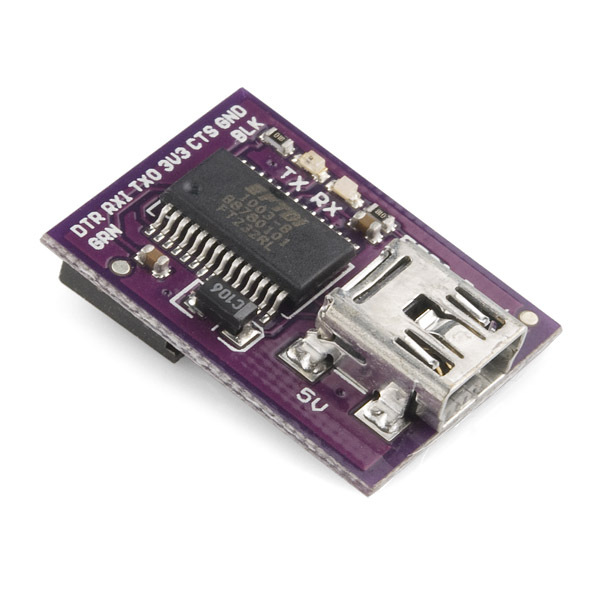 Make sure you check out our Installing FTDI Drivers tutorial linked on the product page. As for the board selection, that actually has nothing to do with the FTDI board. The Arduino IDE board selection to to select which bootloader is on the chip you are using, if it can't find that bootloader it will give an error. 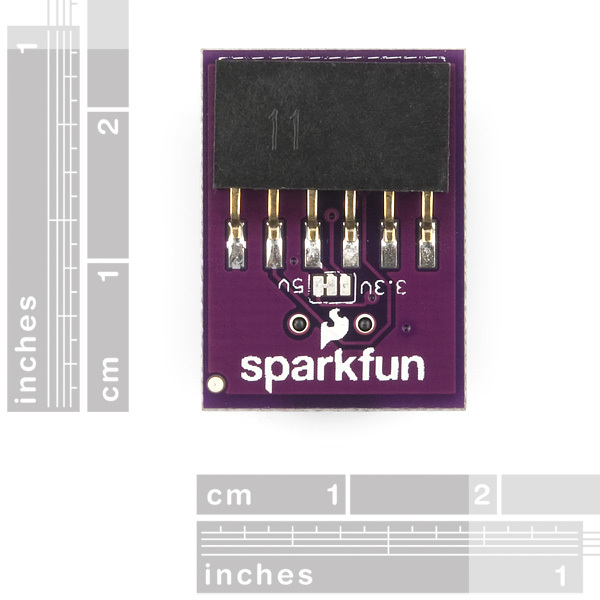 Remember, if you ever have any questions feel free to email techsupport@sparkfun.com, they are pretty helpful. I recently purchased the FTDI Basic Breakout along with the Lilypad Simple Board, and it seems pretty easy to use. I am new to wearable electronics, but within a very short time, I was able to light up some LEDs like a pro. I'm very excited to see what projects I can come up with. This piece is a must if you're working with the Lilypad Simple Board! I've worked with enough bad USB-to-serial adapter boards that I just expect them to be flaky at this point. 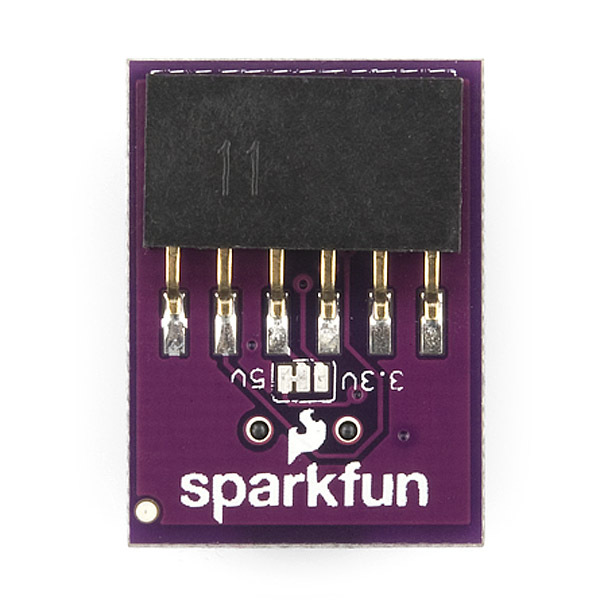 This breakout board has been rock solid and dead simple, though! It installed perfectly on Windows 10 and has worked reliably for me. I'm genuinely impressed with it. From all the LilyPad series, this is the most stable item. It just works great!